It has been almost a year since the first ever Hackatren took place. It was our first hackathon experience and we’ve learned a lot from it. If you want to read the entirety of the proposal we’ve sent, here it is. The team is lucky enough to observe first hand, the problems that the LRT line 1 face. 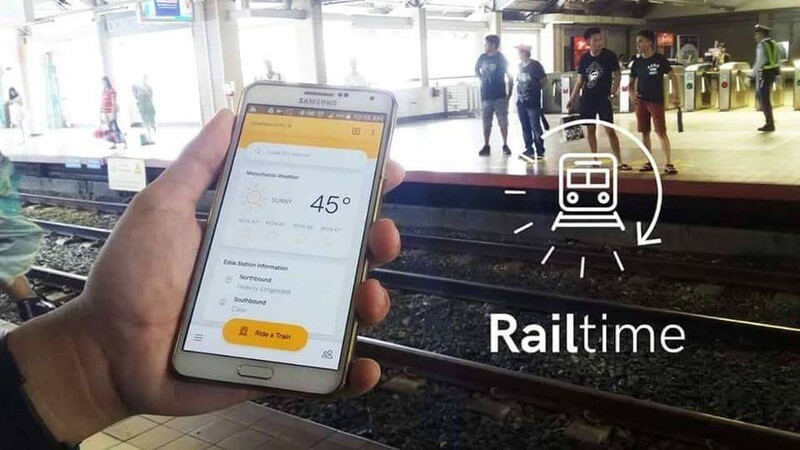 Since the turnover of LRT line 1 to Light Rail Manila Corporation in 2015, the native app that is available in the different app stores are outdated and does not reflect the modern-day needs of a Filipino commuter. This situation adds up to daily pains of the rider like long queue during the daily rush. As a matter of fact, in one of our train rides, we even were able to witness a passenger missing her destination, an unfortunate and inconvenient event that no one should experience. Without an official app, the patrons of the LRT line 1 resort to unofficial sites and apps that increases the risk of misleading them into downloading viruses and malwares into their devices. A threat to their personal devices and information, that they fail to notice at times because they have a busy lifestyle. In addition, the younger generation are looking for new ways to tailor their experiences in their commutes, a huge reason why they prefer using Transport Network Services because they can flaunt the ride just by taking a screenshot of the app and uploading it on whatever social networking platform their hearts desire. Meanwhile, people of varying interests use the LRT line 1 as a vehicle to enrich their passions, in creating new human interactions and relations. Currently, the LRT line 1 does not have an app or a service to satisfy those needs of the customers. Today, in a modern Metro Manila, the use of smartphones and other internet-enabled devices have grown tremendously and is now ubiquitous. Majority of people from all walks of life and from all ages have an entry-level to high-end smartphones from an array of brands in the market. Their usage varies from gaming, to listening music, to even booking a ride on a transport network service, whenever, wherever they may be; truly the Filipino people are reliant to using technology more than ever before. In addition, the telecommunication companies are realizing this and are offering affordable and flexible internet plans and promos that make internet browsing through smartphones cheaper and budget friendly. In an effort to improve the customer experience of the LRT line 1, the conditions stated would be leveraged by providing a Progressive Web App that patrons can use to improve their experience. The medium is chosen over a traditional app because it suits the idea that the modern world moves faster as the years pass. Progressive Web Apps or PWA can easily be accessed just like a website that can be opened with a link but offers close to the native feel and offline capabilities of native apps that can be installed through the Play Store or App Store. Since Progressive Web Apps are just like websites but are supercharged with modern and standardized APIs and tools, they can run across multiple platforms requiring tremendously lesser cost in development and deployment, not to mention the faster development to production time frame that can easily be achieved because it would only require a single team instead of having multiple teams that would develop for different platforms. The Progressive Web App or PWA that will be developed is not just an app but a platform that will help customers in their entire experience with the LRT line 1 and beyond. The PWA will give them all of the essential information that they might need even when they are in the coach train, in the station, or anywhere they may be. Informational cards would be displayed to show the latest weather, the system operation announcements and notices, establishments and museums they can go and explore, the possibilities are almost endless. All shown in an intelligent fashion, something that would make the experience even more personal for every customer that are riding the LRT line 1. It is our vision that the LRT line 1 serves as an abode and a medium for social connections, we believe that it is not just a service, it is a community that flourishes even more communities within its own. In an effort to create a space for them, the PWA is designed to serve as the digital meet-up for communities of diverse interests, a place where customers can share their experiences and recommendations, their daily experiences and even their life hacks that other customers can learn and get inspiration from. The PWA will have virtual spaces for them, allowing veteran riders to newbies a place to communicate and share their ideas and visions. Most apps or platform fails to succeed because they are only engaging in the first few days of its use mainly because they were hip at that time and at that given moment. Being able to keep customers to use the app, we put into consideration that the app is satisfying to use on a daily basis. Using psychological concepts such as positive reinforcement and designing the PWA to utilize the human mind’s reward system, we came up with the solution to use gamification to keep customers engaged and would want to use the PWA in every way that they can. Experience points can be earned by the customers from contributing by answering quick surveys and other interactions that will give them a spot at the leaderboard on a certain day or week. It is both helpful to the customer and to the PWA as their contributions would help us have the real-time statistics from the community. Sustainability has always been in the equation even during the initial planning of the Progressive Web App, to keep the platform or the PWA alive and running, it will allow businesses and establishments to increase their engagement by getting recommended within the PWA in a manner that will not be intrusive to the core experience that the PWA will provide to the customers. These will have advertising fees that are flexible to those who wish, as the recommendations would depend on what station the customer is nearby. Also, certain parts of the app may be customized to allow advertisers to deeply integrate and promote their brands which would provide a lucrative business model for the platform or PWA.